This article is not about your habits of nagging and negotiating, it’s about your kids’. However, they may have learned it from you in the first place. We may not even realize we nag or negotiate. When our kids don’t do what we say the first time we ask, we may begin a downward spiral. When we ask our children over and over again, we are nagging. Nagging sends the message that we don’t really expect them do to what we say. Sometimes when they don’t comply, we begin to plead or negotiate for obedience. 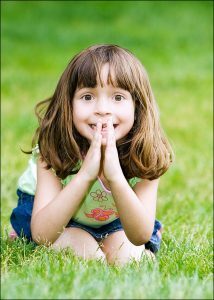 Children who are used to nagging or negotiating tend to wait until that ‘certain’ point when they know they must obey. We really must not nag or negotiate, as they can catch the habit and become very skilled at getting their way. They discover how effective it can be in just one moment of weakness when we cave in and let them have what they want. It only takes once. From then on, they will try it on everything from a sweet before dinner to staying up a little later to expecting a toy every time they go shopping with you. They will try it on every adult involved in their care. But if you observe carefully, you may see that they never try it with certain adults. Maybe they torment you and your husband, but never seem to do it at preschool. They may hassle your parents, but never nag your husband. Perhaps that adult knows the key is to never, ever give in. The kids know it and quit trying with them. But any learned behavior can be unlearned. That’s the truth. It only takes consistency.